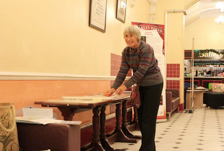 Part two of our look at artwork given to the Stanley Halls by William Ford Stanley. Dr Debbie Challis sheds more light on one of the beauties that once adorned the walls of Stanley Halls gallery. 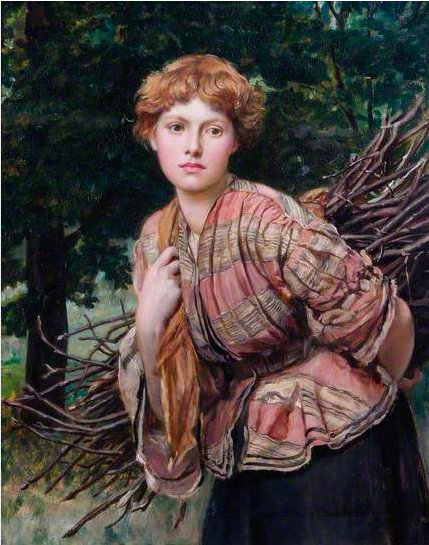 The Gamekeeper’s Daughter by Valentine Cameron Prinsep. As a teenager Val accompanied Watts to the excavations of a Wonder of the World, the Mausoleum of Halicarnassus at Bodrum in Turkey during 1856-7. These were being over-seen by Charles Thomas Newton, an old friend of Watts and John Ruskin and later Keeper of Greek and Roman Antiquities at the British Museum. At the time, Newton described the artists – bar Watts – who were on his digs as lazy and disdainful of the hard work archaeology requires (Newton, 1857). Val Prinsep may not have impressed the formidable archaeologist, but he soon became an accomplished artist and seemed to be rarely idle. He shared many of William Ford Stanley’s attitudes to education and self-betterment as well as a desire to open up access to art to a greater number of people. Prinsep instructed art students at Worcester College on the progress of art and the need for education in art and nature in 1883. Following Ruskin’s doctrines, he urged the students to look at nature closely and ‘above all learn to draw’ (Prinsep, 1883). Two years later, Val Prinsep was one of many artists from the Royal Academy (others included Lawrence Alma-Tadema, Edwin Long, Hamo Thorneycroft and Alfred Waterhouse) to sign a petition calling for the National Gallery and British Museum to stay open until 10pm three days a week. This 1885 petition revisited a parliamentary inquiry of 1860 on opening hours of national museums and galleries and access to the public, above all access to working people. Evening opening was to provide ‘instruction and pleasure’ to a greater number of people. 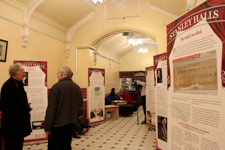 The Gallery in Stanley Halls is a memorial to the desire to offer opportunities for education and leisure to people from all backgrounds that Stanley shared with other like-minded Victorians. We hope that it will again become a creative centre for ‘instruction and pleasure’ at the heart of South Norwood. Charles Newton, Letter to Antonio Panizzi, 3 September 1857, Britt. Lib. Add. MSS. 36718, f. 194. ‘Important Facts on the Week Evening Opening of Museums’ (1885). Earl Grey Pamphlets Collection, Durham University [www.jstor.org/stable/60227298]. Valentine Cameron Prinsep (1883), ‘An address to the art students of the Worcester School of Art delivered at the distribution of prizes, December 12th 1883’.